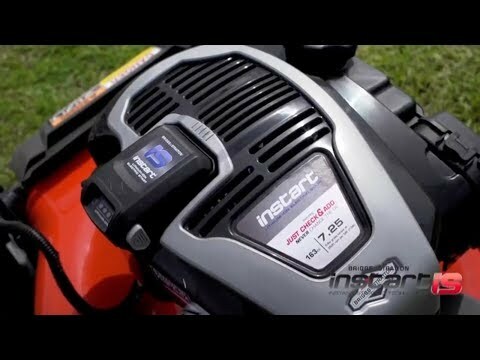 Briggs & Stratton Corporation warrants to the original owner that select 2018 engine models* equipped with ReadyStart® will always start on the first or second pull and select 2018 engine models** equipped with InStart™ will always start on the first or second starting attempt♦, or we will fix it for free. This warranty applies for a period of two years from the date of the original purchase and covers defects in engine materials or workmanship that may prevent the engine from starting on the first or second pull or starting attempt. It includes the cost of parts and labor for repairs related to the starting system. Transportation costs to and from the repairing dealer is the owner's responsibility. Parts and labor costs of routine maintenance items, for such as air filter, spark plug, oil change, fuel filter, and fuel system maintenance, are not covered under this provision. The use of non-original Briggs & Stratton® service parts may void this warranty if related to the starting problem. Using STA-BIL® 360° Protection™ is an effective way to prevent fuel related engine problems and keep fuel fresh for more than 30 days. It prevents corrosion caused by moisture in today's ethanol-blended fuels and stabilizes fuel for up to 12 months. Be sure to add 360 Protection to your gas can every time you fill it with fuel. Engines used commercially are not covered under this provision. All other warranty terms and exclusions of coverage noted in your Operator's Manual under "About Your Warranty" apply. 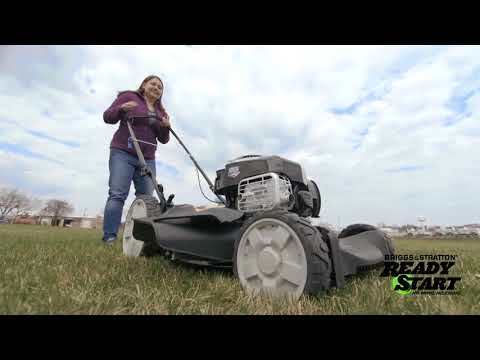 Warranty service is available only through authorized dealers by Briggs & Stratton Corporation. Locate your nearest Authorized Service Dealer in our dealer locator map online or learn more about Briggs & Stratton engine warranties. *The Starting Promise™ applies to the following 2018 models with ReadyStart®: 550ex Series™ model 09P7, 625EXi Series™ model 093J, 126M, 675 EXi Series™ model 103M, 725 EXi Series™ model 104M, and Professional Series™ models 110P, 111P, 121R, 121Q, 121S. **The Starting Promise™ applies to the following 2018 models with InStart®: 111P and 121S. ♦A starting attempt is considered to be a 5 second continuous cranking of the starter motor with a battery that has been charged at least 10 minutes.